Go west, where the growth is. US home price increase in last one year. US change is home prices over last year (June 2016-June 2017 data are red points; vertical lines show price change rage 1976-2017). 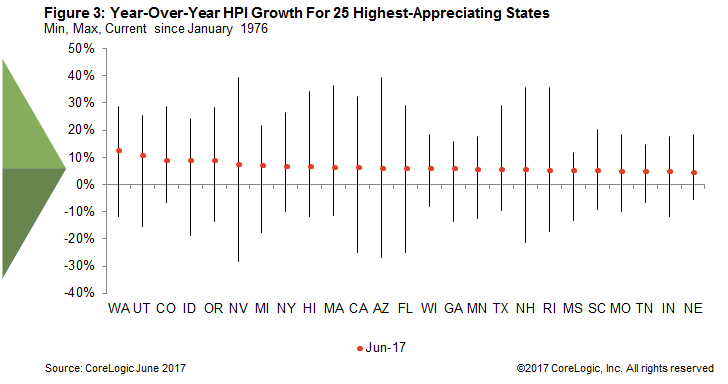 The western and north-western US saw the biggest increase, with Washington State (& Seattle) leading the nation. Plot from CoreLogic, which produces the monthly Home Price Index data, based on Yale’s Prof Shiller’s research.